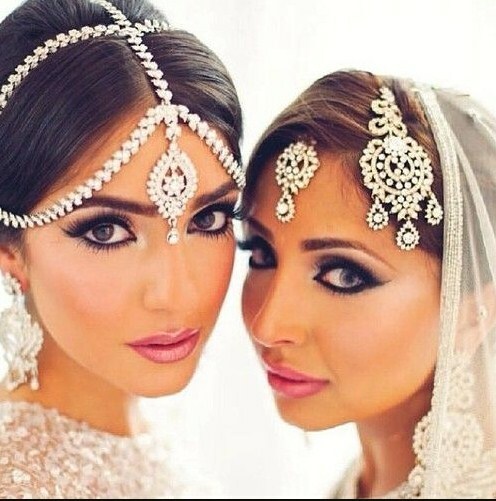 Here are some bridal makeup tips and tricks. 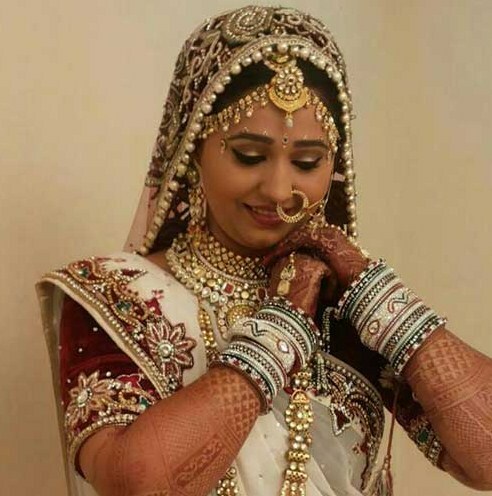 All women have an ideal bride image in their minds. When the big day comes, some small and careless mistakes in bridal make-up can turn this opportunity of a lifetime into a wasted one. Remember going through your friend’s wedding album and staring at a stranger who’s actually your friend and you don’t even realise it? You don’t want that to happen to you. Learn from her mistakes and prepare yourself well in time for the big day. 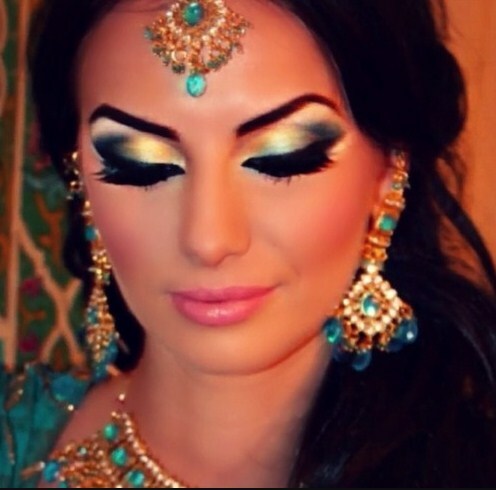 Bridal make-up has to be subtle and effective enhancing your best features and hiding any shortcomings. On that big day, you are going to be the centre of attraction and a feature of a thousand photographs. It is important that the right bridal make up is applied as photos taken on this day bring about fond and beautiful memories. If you can hear the wedding bells ringing, start your preparation right away. Draft yourself a little beautifying program, which will include a series of weekly facials. If you have not been drinking enough water, now is the right time. Start with two glasses as soon as you get up. Besides this, your daily dose of 8-10 glasses of water must continue. Nothing makes the skin more radiant than sufficient hydration. Do not leave everything till final day. Getting your eyebrows done a day in advance will save you unnecessary hassles. Catching your beauty sleep is all the more essential. You do not want to look haggard and sleepy on your most important day. Use an alarm system to wake up to nice music so that you are relaxed. Moisturize your skin well in advance before starting the make-up process. Use a foundation that is closer to your skin tone. This will act as a barrier between your skin and rest of the make-up. It is essential to choose right colors for your bridal make-up. Those bright neon colors will scream out of photos and greys will appear too dull. Your best bet lies in choosing colors and shades closest to your skin tone. Anything too bright or too dark and you have a stranger in those photos. Check out some Pakistani Bridal Dresses. Use of make-up on eyes and lips has to be intelligent and tasteful. You would’ve gone through great lengths to choose your wedding gown. You need similar diligence and effort in choosing right color combination for your eyes and lips. This color co-ordination will make you look stunning while staying natural. Avoid deep reds and blacks at all costs. Only look you can achieve through them is bizarre. At the same time do not use such a light shape that your lips and eyes look non-existent in your photos. 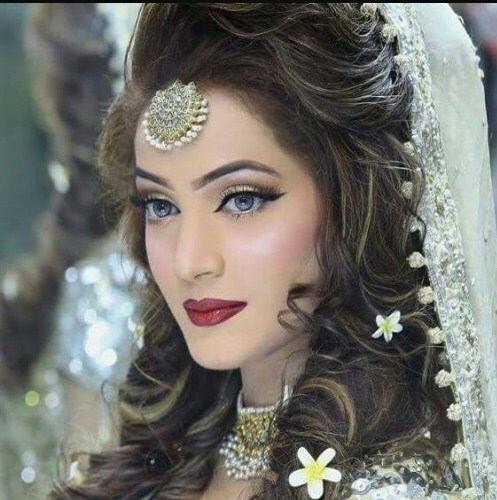 It is a good idea to use professional services for bridal makeup. But leaving everything till final day can be a problem. Have one or two trial runs before you decide on what suits you best. You will be kissing a number of people on wedding day, so choose a lipstick that doesn’t smudge. At the same time, it should complement rest of your makeup. If you have fair skin, use a slightly dark pink tone if you do not want to look pale in your photos. Applying foundation only on face is not recommended. Using it on all exposed areas is a must if you want to appear as a uniform and homogeneous entity. Wedding ceremonies do not get over in blink of an eye. So your makeup should be smudge proof so that you do not get that funny look if you rub your eyes accidentally. Wear at least two coats of waterproof mascara. Choose hair ornament to complement your wedding gown and rest of makeup. If necessary, try out everything a few times before you decide on final outcome. Ask your dear ones for a critical view while choosing gown and hair ornaments. Do not wear your hair in a tight bun. You are asking for a stiff neck. Depending upon season, you can use a bronzing powder to warm your skin tone. Fashion prevalent today might look very nasty tomorrow. 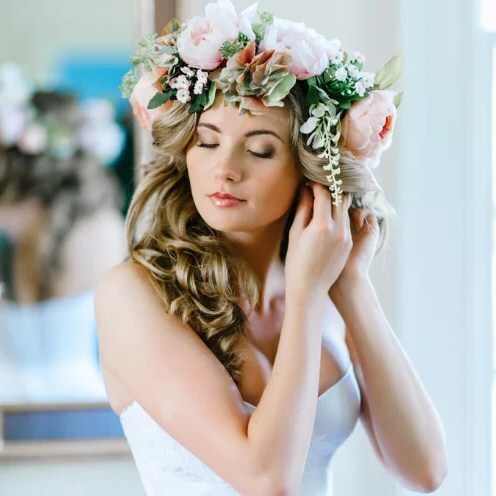 So choose neutral colors if you want to look natural in your wedding photos for a long time to come.